Haitian TPS holder and TV host Farah Larrieux at home in Miramar with a photo of her mother, who died in Haiti two years ago. "I have an entertainment show on the satellite network Teleanacaona," she tells me. Achievement awards and community service plaques hang on the walls of Larrieux's house in Miramar. But right now a big anxiety also hangs over her life here – and will for another three months. TPS means Temporary Protected Status. It’s the federal program that’s let Larrieux and almost 60,000 other Haitians stay in the U.S. since an earthquake destroyed much of Haiti in 2010. Larrieux got TPS that year just as she was facing deportation because her visa had expired. Since then Haitian TPS has been renewed every 18 months. That’s mainly because disasters – natural and political – keep making Haiti a dangerous place to go back to. But TPS expires again on July 22 – and this time the U.S. president who decides whether to renew it is Donald Trump. Stressful because of President Trump’s high-profile crackdown on immigration. Many Haitians who have TPS report they’ve lost jobs here because their employers feel certain Trump won’t renew their work permits. So Haitian-American leaders are mounting a campaign to lobby Trump for TPS extension. Last week FANM Ayisyen – Haitian Women of Miami – and other groups held a press conference in Miami’s Little Haiti neighborhood. "This is a real crisis for our community," said FANM director Marleine Bastien. "People are scared to death." They laid out why they believe letting TPS expire would be cruel to Haitians here and counter-productive to U.S. Haiti policy. 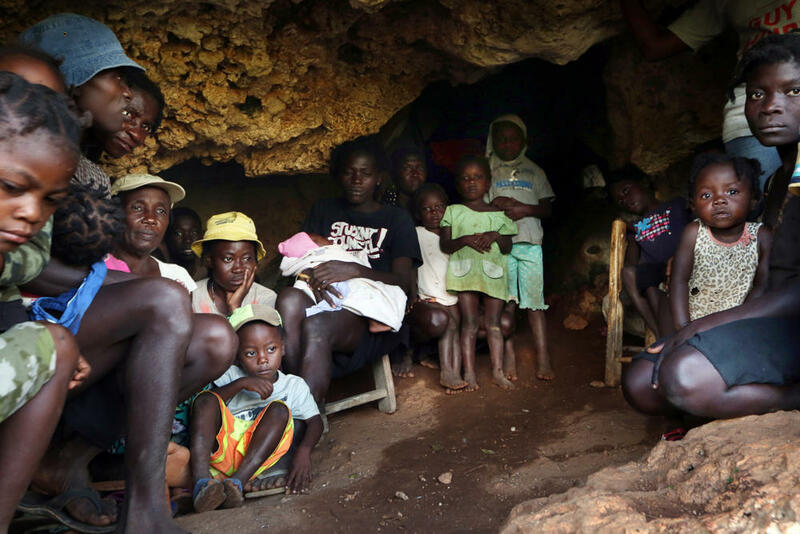 Their Exhibit A: Last month workers for the charity Food for the Poor discovered 240 Haitians living in a cave in southwest Haiti – among them scores of children. They’d been left homeless and foodless by Hurricane Matthew's devastation last fall. "It was so silent," says Food for the Poor staff member Debi Springer, who was one of the first to see them. "You could hear the water droplets. You could hear their breathing, and it was so labored, and everyone was coughing." And they were just the latest victims found living in caves in Haiti. Angel Aloma, Food for the Poor’s director based in Coconut Creek, says it’s one more jolting sign that Haiti – the western hemisphere’s poorest country – still isn’t fit to take back so many expats. 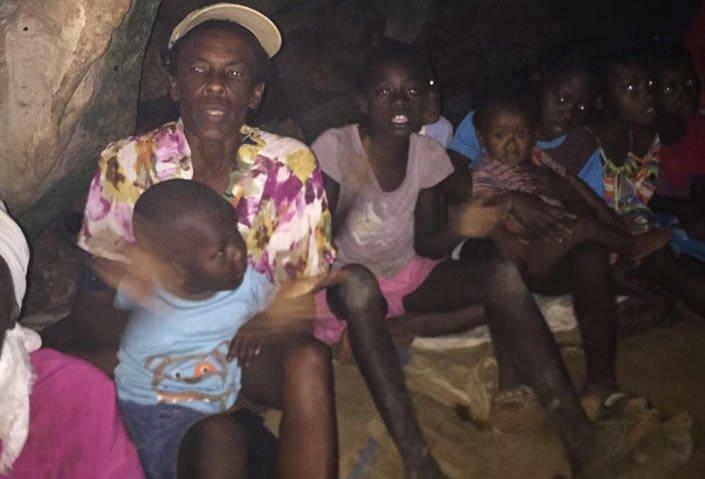 Homeless Haitians found living in a cave in southwest Haiti last month. “They would put a tremendous burden on the country, where crisis is the norm," says Aloma. In fact, the more than $1 billion in remittances Haitians in the U.S. send back to Haiti each year represents a large part of that country’s GDP. Advocates also argue that since most Haitian TPS holders are so embedded here, deporting them would be a big blow to their communities. “Out of those 50,000 people, a lot of them have been living in the U.S. before the earthquake,” says Soeurette Michel, a Haitian-born attorney in South Florida. The federal government has said TPS holders may not adjust their immigration status to something more permanent. But this month a federal appeals court in San Francisco ruled that because they’re lawfully here, they can. "I really want to be your greatest champion," he said to Haitian-American voters at the Little Haiti Cultural Center last September. "I will be your champion, whether you vote for me or not." 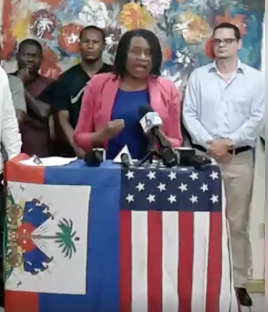 FANM Ayisyen (Haitian Women of Miami) executive director Marleine Bastien in Little Haiti last week urging President Trump to extend TPS for Haitians. “Donald Trump came to Little Haiti, and he said that he would be the best president for Haitians," said former Haitian Prime Minister Laurent Lamothe, who visited Miami last week to promote his Dr. Louis G. Lamothe Foundation to aid rural Haiti. "Haitians take him at his word." But if there’s one thing Lamothe and everyone else know about Trump – it’s that you never know. 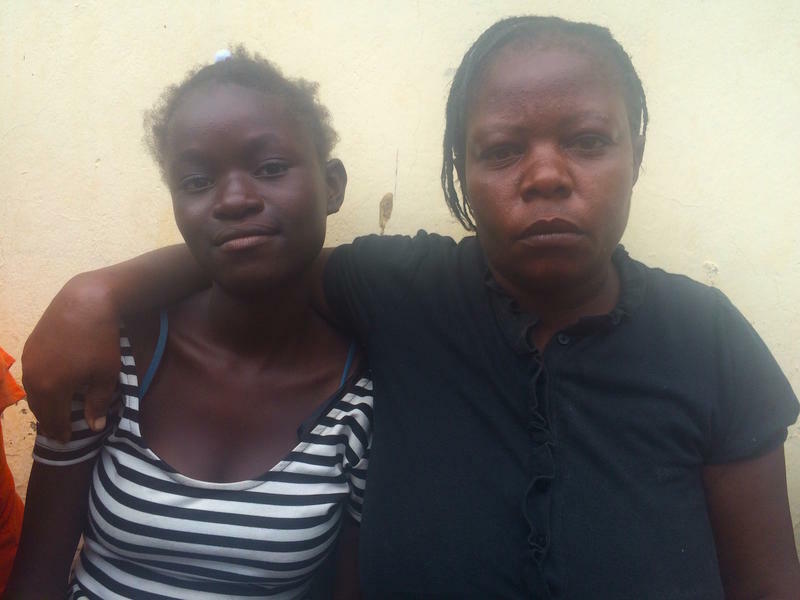 Thirteen-year-old Ivana Fenelon walked up to me outside a church and primary school in Camp Perrin the week after Hurricane Matthew had leveled most of the homes in Pérénie, the rural hamlet where she lives with her family, a three-hour walk into the mountains. “I want to talk too,” she said, as I finished an interview about the hurricane with a farmer from another nearby town.